Beyond delicious raw breakfast wrap. 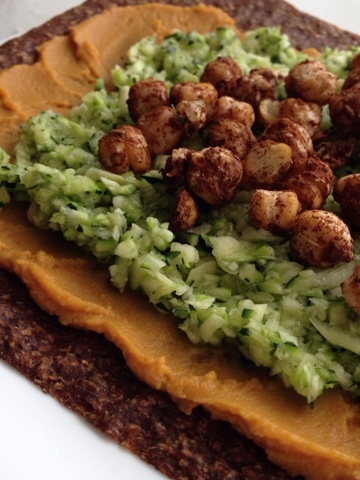 Beyond delicious raw breakfast wrap! Vegan, gluten-free. Serves one. 1. Mix protein with water until it becomes a paste. Mix in pumpkin. 2. Spread over wrap. Mix zuke rice with stevia and spread over wrap. 3. 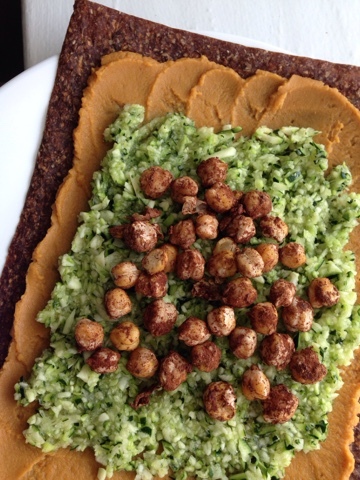 Mix chickpeas with stevia packet and cinn and spread over a parchment lined baking sheet. Bake at 435 for 10 minutes. 4. Let cool and add to wrap. Roll up and eat! 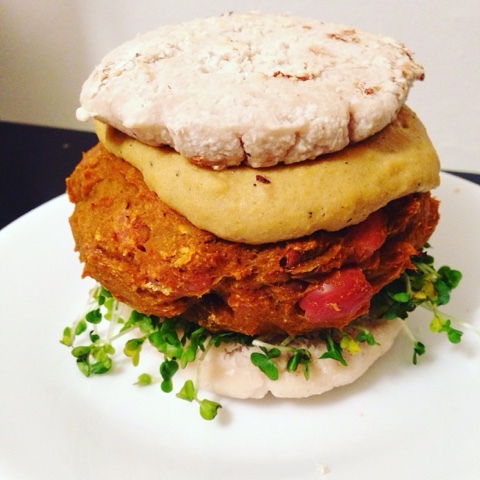 Spicy Pumpkin Pinto Burger. Vegan, gluten free. Serves one. 1. In a medium size bowl, mix pumpkin, beans, spices, and flax until combined. 2. Form into large patty and place on parchment-lined baking sheet. 3. Bake, uncovered, at 400 degrees Fahrenheit for 25 minutes. 4. Remove and let cool before enjoying!